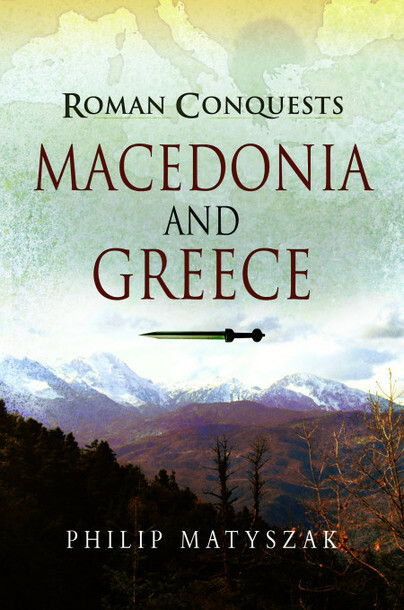 You'll be £12.99 closer to your next £10.00 credit when you purchase Roman Conquests: Macedonia and Greece. What's this? Order within the next 7 minutes to get your order processed the next working day! In the late 3rd century BC, while Rome struggled for her very survival against the Carthaginians in the Second Punic War, Philip V of Macedon allied with Hannibal in pursuit of his dream for a new Macedonian empire. Once Carthage was defeated, however, the Roman army for the first time turned its full attention to the Greek world. the epic battles of Cynoscephalae and Pydna. The home of Alexander the Great fell under the power of Rome, along with the rest of Greece, the cradle of Western Civilization, which had a profound effect on Roman culture and society. Philip Matyszak gives a clear narrative of the course of these wars, explaining how the Roman war machine coped with formidable new foes and the challenges of unfamiliar terrain. Specially-commissioned colour plates bring the main troop types vividly to life in meticulously-researched detail. Dr Philip 'Maty' Matyszak has a doctorate in ancient history from St John's College, Oxford University and has been studying, teaching and writing on the subject for the past twenty years. He specializes in ancient Rome, especially the Late Republic and Early Imperial periods, and his previous works include the best-selling Ancient Rome on Five Denarii a Day, Ancient Greece on Five Drachmae a Day and, for Pen & Sword, Mithridates the Great: Rome's Indomitable Enemy (2008) and Roman Conquests: Greece and Macedon (2009). He has personal military experience both as a conscript in Africa and with the territorial army in Britain, and he splits his time between writing in his home in Canada's Rocky Mountains and providing distant learning courses at Cambridge University.